The Antimonopoly Committee of Ukraine has approved an application of China's Bohai Commodity Exchange (BOCE) to acquire a stake in the share capital of PJSC PFTS Stock Exchange (Kyiv), the press service of the committee has told Interfax-Ukraine. As reported, BOCE early May 2018 asked the Antimonopoly Committee of Ukraine for preliminary conclusions on the acquisition of over 25% of shares in PFTS. The application was returned, as information was not disclosed in a proper way. Late September, the Chinese exchange repeatedly submitted the documents. PFTS Stock Exchange is one of the oldest in the Ukrainian stock market. In 2017, the volume of exchange contracts on the PFTS amounted to UAH 64.34 billion, and this indicator was less only compared with the Perspectiva stock exchange (UAH 127.43 billion), but it is more than at the Ukrainian Exchange (UAH 13.41 billion). 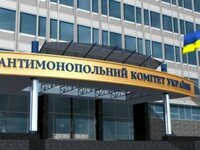 The main volume of trading fell on government bonds - UAH 57.99 billion, while the turnover of shares amounted to UAH 3.16 billion, bonds of enterprises - UAH 3.19 billion. Its main shareholders are Parvana Ltd. with 8.9034% of shares, Crooxton Limited - 9.0596%, Primeview Ltd. - 8.4973%, Dakal Ltd. - 9.372% and Boline Ltd. - 9, 2158%, which beneficiaries are unknown.